A famous science communicator and TV personality, Bill Nye has served the world a huge favor with his programs, books and talks in which he argues in favor of science. Over the years, however, he’s had to handle all sorts of critical situations like last year’s now famous debate against Ken Han on creationism. 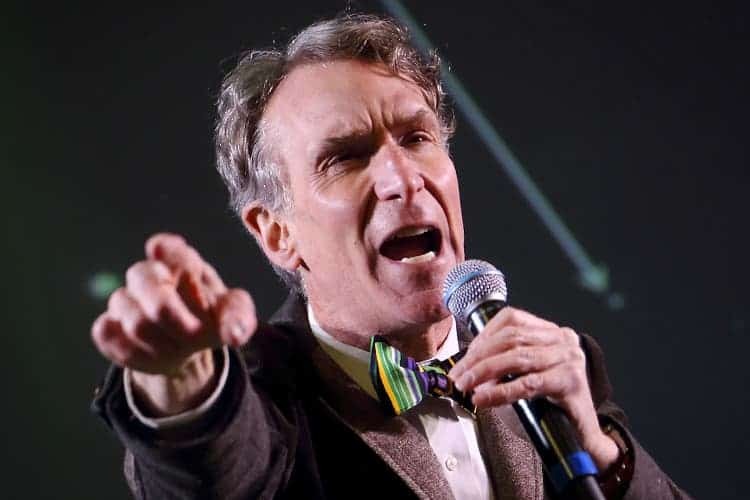 Most recently, Nye dropped by CBS This Morning where he talked about his new book, “Undeniable: Evolution and the Science of Creation”, and invariably found himself in need to set some things straight about climate change and, of course, creationism. Indeed, a lot of people wrongly confound climate change with the weather. When it’s scorching hot outside, they feel global warming is true and when they see ravaging snow storms on TV, they raise their eyebrows in doubt. Weather is influenced by climate, but they do not represent the same thing. For instance because global warming is melting ice in arctic, the risk of extreme snow storms, like the polar vortex that wrecked havoc last year in North America, has doubled! My interpretation of Nye’s analogy between creationism and climate change deniers is that both are social issues underlined by education and lack of critical thinking. More importantly, it’s an issue of people favoring personal experience and interpretation over objective observational evidence. Nye didn’t stray too much on climate change, however, and returned to the subject of his book: creationism. He went on to explain how he became motivated to write it following his debate with Han, which circled the whole globe. Check out the interview below. Ironically, “Undeniable: Evolution and the Science of Creation” is the #1 best seller in Amazon’s “Creationism” section.